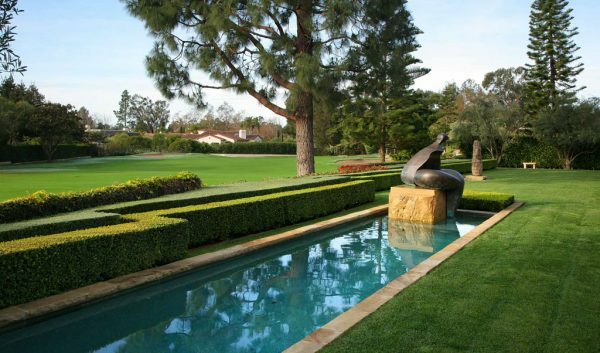 Meticulous describes every inch of this landscape renovation for a detail-oriented client. 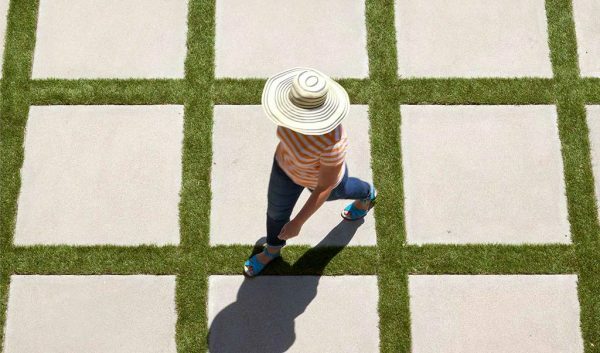 Our design seamlessly joins two lots in Bel Air into a single estate, with multiple programmed spaces for outdoor activity. 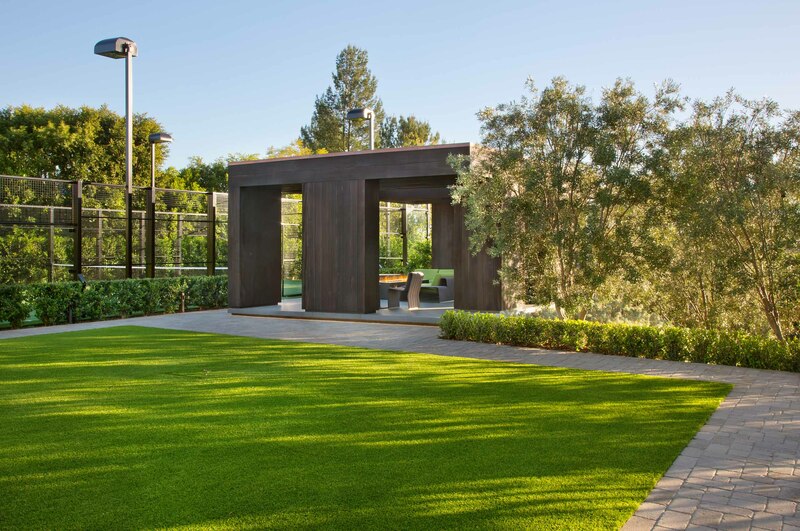 Two new outdoor pavilions anchor the property: one serving the existing pool, the other adjoining a new court for Padel, a racket sport similar to paddle tennis. 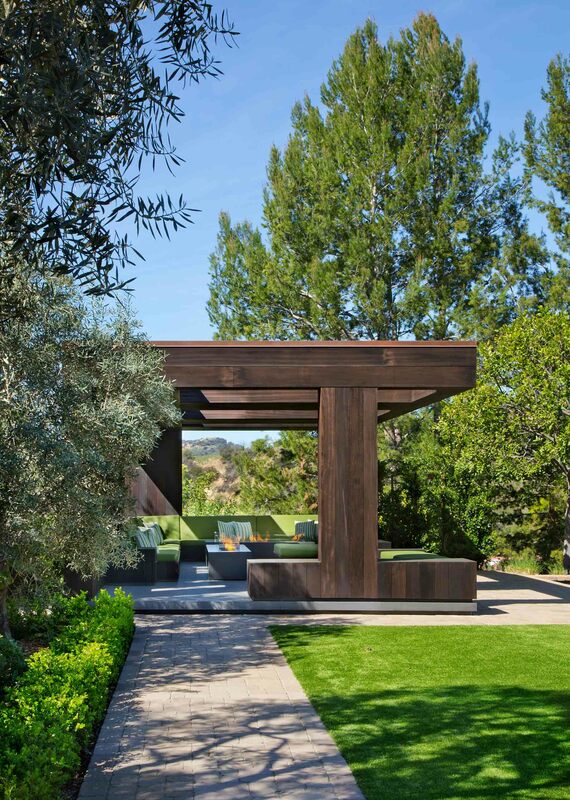 The existing home’s massive wood beams influenced the overall look of the pavilions, both of which are clad in seven-inch-wide shou-sugi-ban-treatedboards. This labor-intensive ancient Japanese technique preserves and waterproofs the sapele wood by charring its surface. 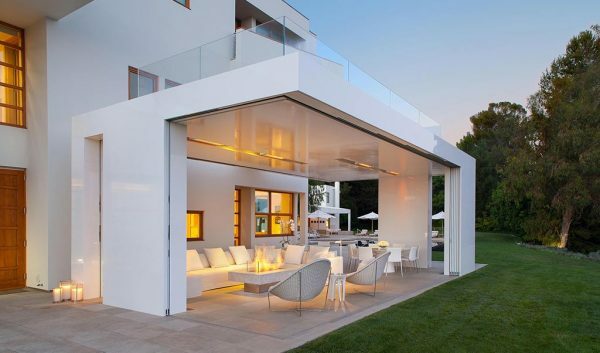 Both structures are designed on a seven-inch module, so every window and door opening corresponds to a multiple of seven inches wide, leaving no partial boards. 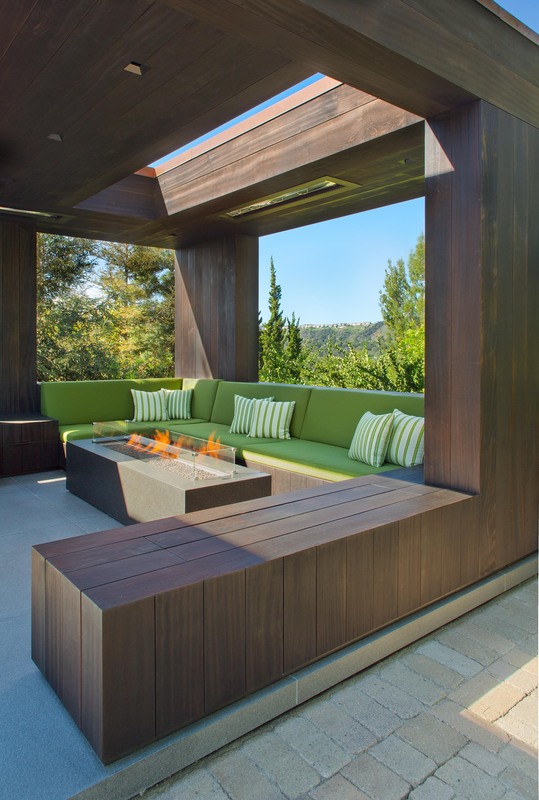 Both pavilions are true indoor/outdoor spaces, lit for night use, with televisions, heaters, and wet bars carefully concealed within. A grove of olive trees at the property’s new driveway entrance creates a grand arrival sequence. Carefully manicured boxwood hedges flank crape myrtles, which burst into gorgeous white flowers each spring. Additional olive trees cascade down the hillside, their sculptural branches and thick foliage adding to the feeling of secluded expanse. A series of formal allées frame the best views and knit all the various spaces together. The client’s specifications for the Padel court were just as exacting. We sank the fence posts deep underground so no fasteners are exposed. 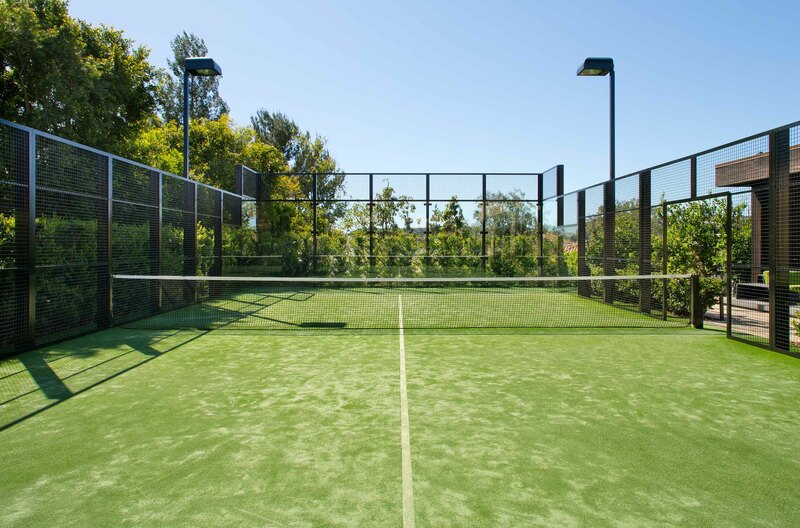 The fact that the Los Angeles Department of Building and Safety had never certified a Padel court made the process even more challenging.